Want to Record Guitar Like a Pro? Obey These Rules! If you’re serious about learning to play guitar or being in a band, you’ll eventually find yourself in a recording situation. 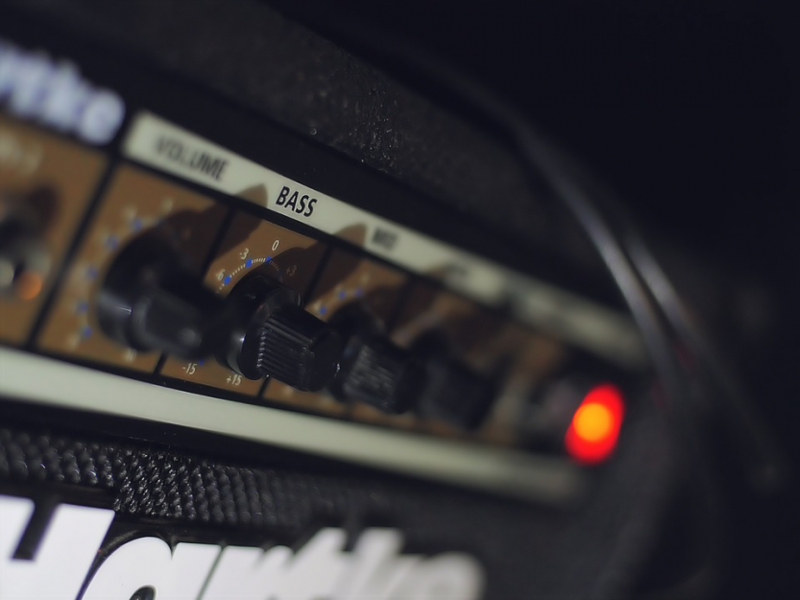 It might be that you’re heading into the studio to lay down some guitar tracks for a group or solo project. It might be that you’re doing a home recording project, recording guitar on PC, possibly with the help of a guitar interface. There are plenty of different ways to record your guitar playing. 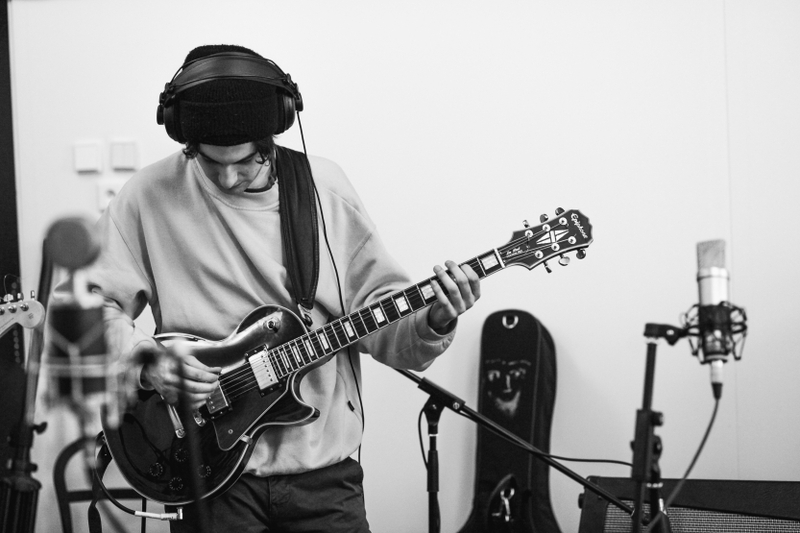 But, whether you’re in a top-flight recording studio or in your bedroom, recording guitar to computer, there are certain rules you need to obey if you want your session to go smoothly. Because, if you don’t know your material, if your guitar is in bad shape or if you don’t have a guitar tuner handy, your session is going to go downhill pretty quickly and cause you a lot of grief in the process. So heed these words and make sure your guitar recording session runs as smoothly as possible. This sounds obvious, but you’d be amazed at the number of would-be Jimi Hendrix’s that go into the studio without knowing their own material. If you’re at the stage where you’re committing your music to record, you need to know the parts exactly. That means locking in solos, breakdowns, chord sequences and everything else well before you hit the studio. Why? Because when you’re in a recording studio, time is money. And the more time you spend trying to figure out a part, the more money you’re wasting. I’ve experienced this firsthand. Years ago, I was cutting a record with a band where one of the songs had a two minute guitar outro. Whenever we performed the song live, our lead guitarist always improvised the solo; there were a few recurring motifs, and the rest was done on the fly. He figured he’d do the same when we were in the studio. Guess what, when he heard the first three takes back, he hated them. Turns out that what works live doesn’t have the same vibe when played back through a pair of studio monitors. Cue five hours of him sitting with the engineer, basically writing the solo from scratch. In the time it took him to record, the rest of the band watched the director’s cut of Terminator 2: Judgment Day twice. Moral of the story? Map out everything, even the stuff you’d usually jam. That way, you’re not going to freeze up when the red light is on, making things easier (and cheaper) for everyone. Does your guitar have fret buzz issues? Dodgy intonation? A warped neck? Get those things sorted before you go into the studio, or you’re going to have a terrible session. Fret buzz and intonation issues are things that guitarists often live with. They’re an inconvenience, sure, but in the context of a live setting, when everything’s turned up to 11, you usually don’t notice them. The studio is not a live setting, and by the time you’re hearing yourself through those unforgiving monitors, every one of those problems will be amplified to the point of being unbearable. Best-case scenario is you’ll be able to work around these issues, though it’ll end up being a major pain in the neck. In the same recording session I mentioned earlier, our lead guitarist’s intonation was so bad that he had to re-tune the guitar for every bar of the solo to compensate for the changes in pitch. That was seriously time consuming. Worst-case scenario is your session will come to a halt. I remember a friend of mine having to call time on a recording session on day one because a guitar neck was so warped that the lead guitarist couldn’t play anything in tune. He had to go out and buy a new guitar neck and wait for it to be fitted before they could resume recording. Getting your guitar set up might seem like a time drain or an unwanted expense. But, not getting it done could completely derail your session, so avoid it at your peril. 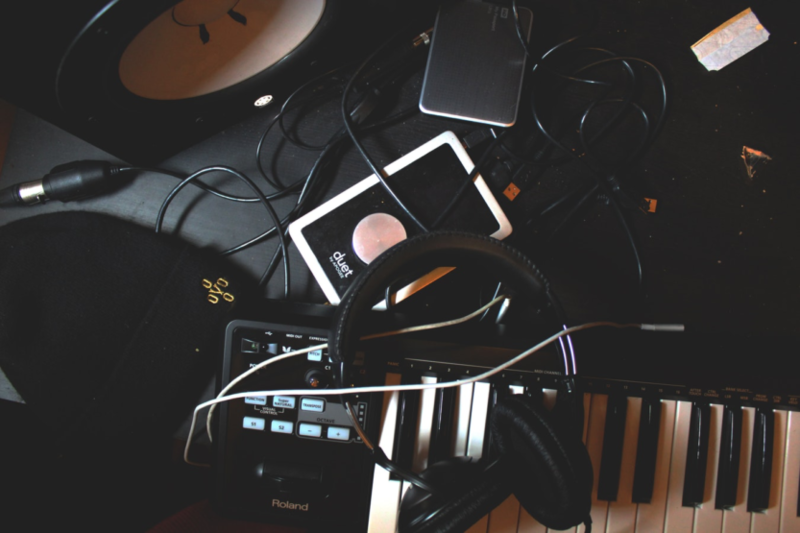 In this post, I’ve already stated that recording is nothing like playing live. When you record, your music goes under the microscope, and all the imperfections you get away with on stage are magnified. This is especially true of tuning! Any leeway you have for being out of tune on stage is gone by the time you hit the studio. Even if a string is slightly flat or sharp, you will notice, and so will your listeners. What’s the moral of this story? Tune between every take! Of course, we’d be remiss not to mention Roadie 2 at this point. It’s fast, incredibly accurate and great to have on hand when you’re in the studio. So those are my top tips for recording guitar like a pro. Any studio horror stories you want to share? How about tips that I’ve not covered in this post? Tell me your thoughts in the comments.